Thyroid disease affects an estimated 20 million Americans, causing uncomfortable and sometimes even dangerous signs and symptoms. 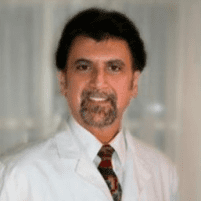 Dr. Jack Monaco at Nashville Hormone & Integrative Medicine in Nashville, Tennessee helps patients decrease their dependence on medication and improve overall health through nutrition, exercise, and bioidentical hormone replacement therapy. The thyroid gland is a butterfly-shaped organ located at the front of the neck. Its main function is to produce thyroid hormones, which control the body’s metabolic rate. The thyroid gland uses iodine to produce thyroid hormones. Two primary hormones produced by the thyroid are T3 and T4. What happens when thyroid hormones are imbalanced? The thyroid directly impacts metabolism. An excess of thyroid hormones (hyperthyroidism) overstimulates the body, resulting in a slew of undesirable symptoms, including racing heart, anxiousness, and weight loss, while hypothyroidism, or a lack of thyroid hormone, can cause symptoms like fatigue/sluggishness, heart failure, mood problems or depression, and weight gain. Hyperthyroidism is rare, while hypothyroidism is common. Low levels of thyroid hormone may result in a host of medical problems ranging from weight gain, poor energy, cardiac insufficiency, high blood pressure, high cholesterol, impaired glucose metabolism, depression and psychiatric disorders, musculoskeletal pain, infertility and reproductive disorders, pregnancy complications, and in severe cases, death. Thyroid regulation is critical. Because thyroid disease can affect many systems of the body, it’s important that patients seek medical attention and thyroid regulation as soon as they suspect something is wrong. How does bioidentical hormone replacement therapy improve the symptoms of thyroid disease? The most common treatment for low thyroid hormone levels consists of thyroid hormone drug replacement therapy. The primary purpose of thyroid hormone drug replacement therapy is to alleviate symptoms. Most commonly, clinicians give a drug only containing T4 expecting the body to convert the T4 to the active hormone T3. This conversion requires many nutrients and is inhibited by stress. Clinical trials report patients feel better when a combination of T3 and T4 are given. Additionally, iodine, zinc, selenium, Vitamin C, copper, and Vitamin E may be deficient and could result in incomplete relief of symptoms as well. Regenerative medicine doctors focus on the health and well-being of the whole patient, combining natural and comprehensive hormone therapy with diet and exercise to ensure the best possible outcome for the patient.